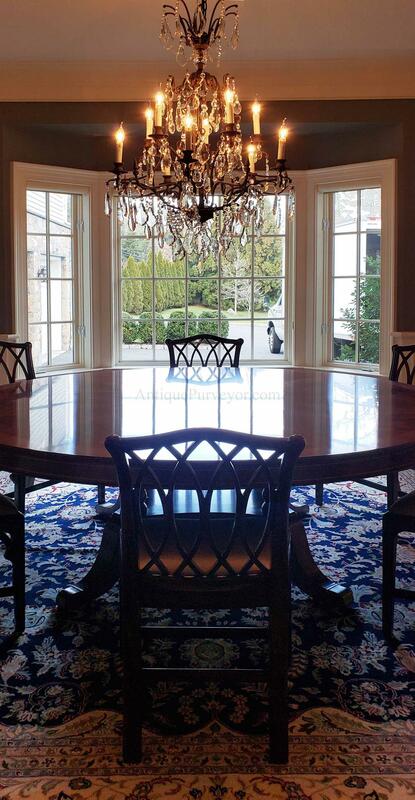 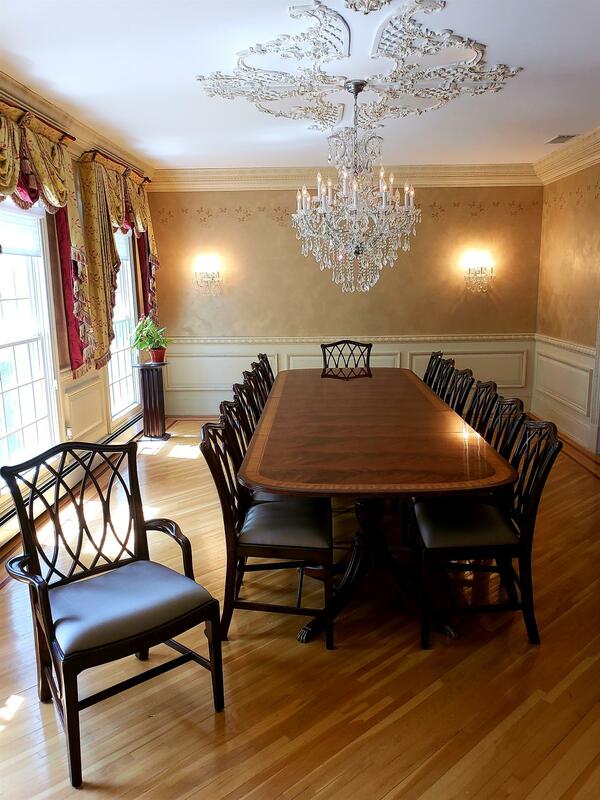 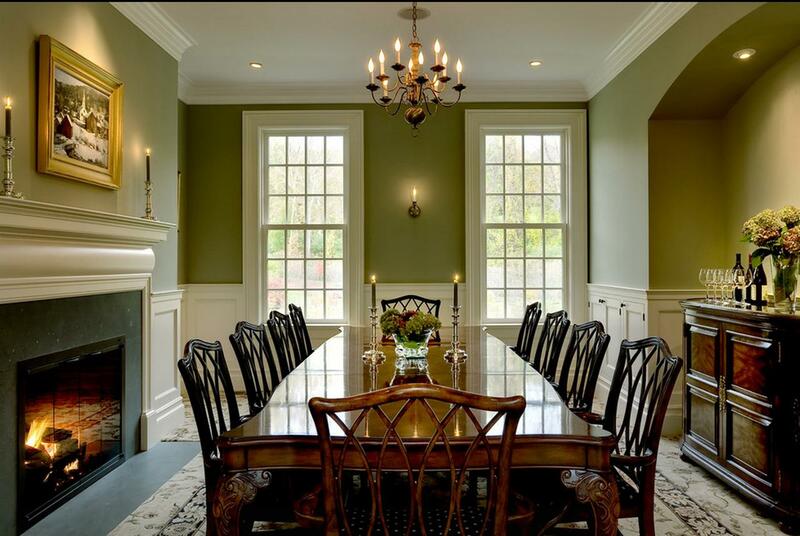 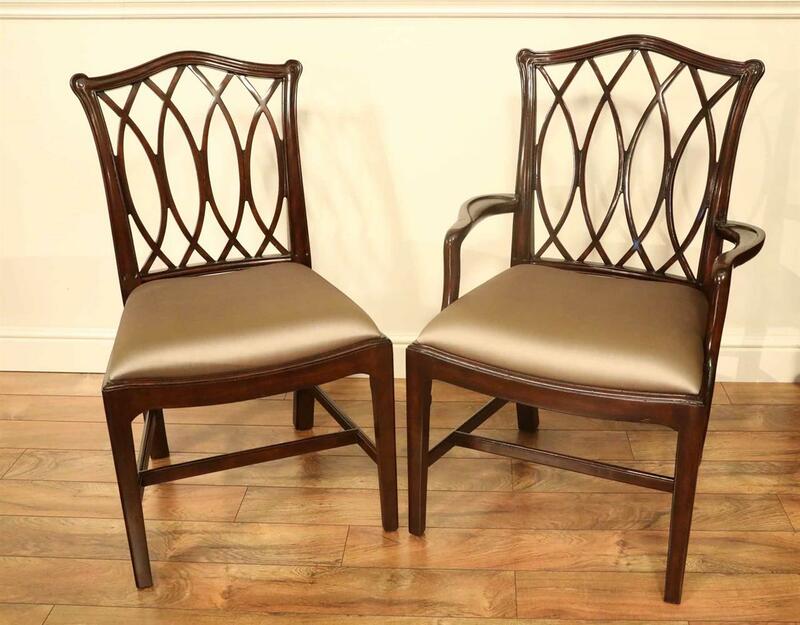 Description: Elegant and finely designed Chippendale dining room chairs with open splats. 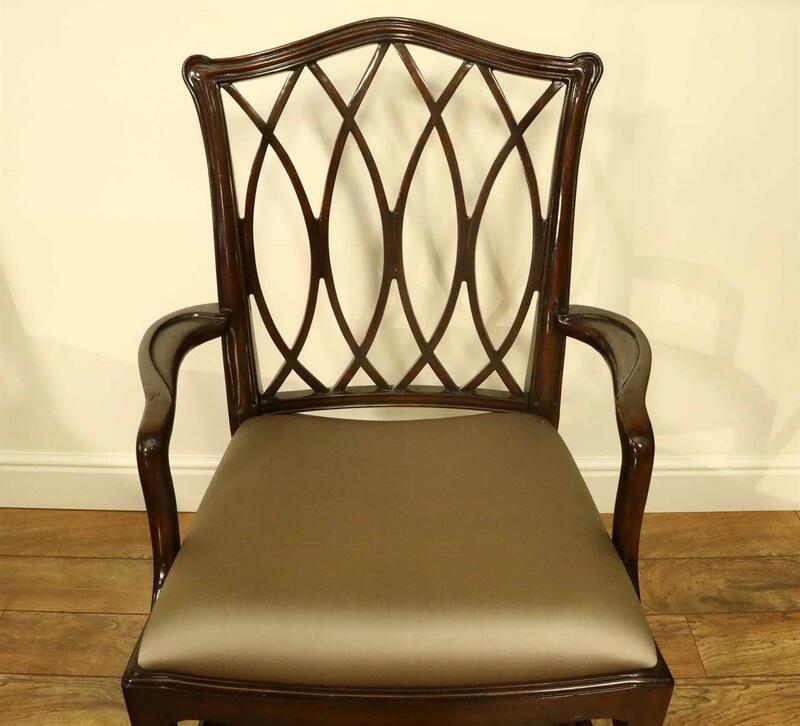 This is a high end solid mahogany dining chair built for higher end homes. 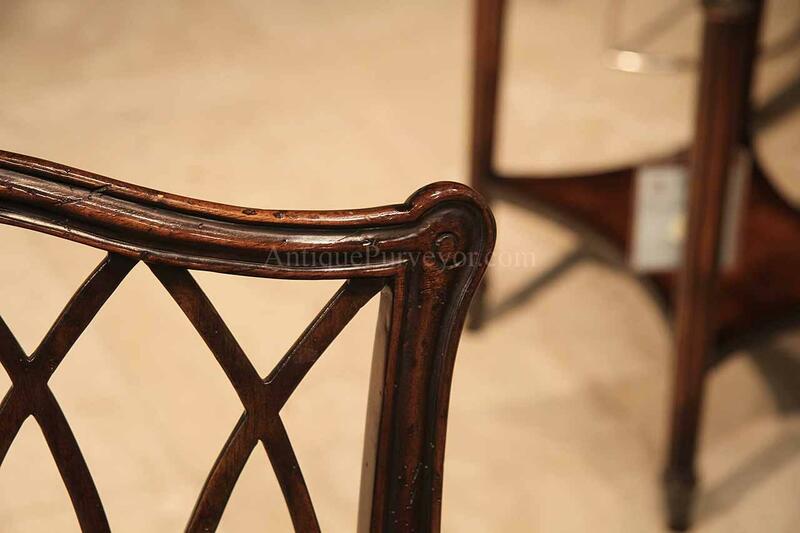 It is a designer chair with less carvings than the average Chippendale chair. 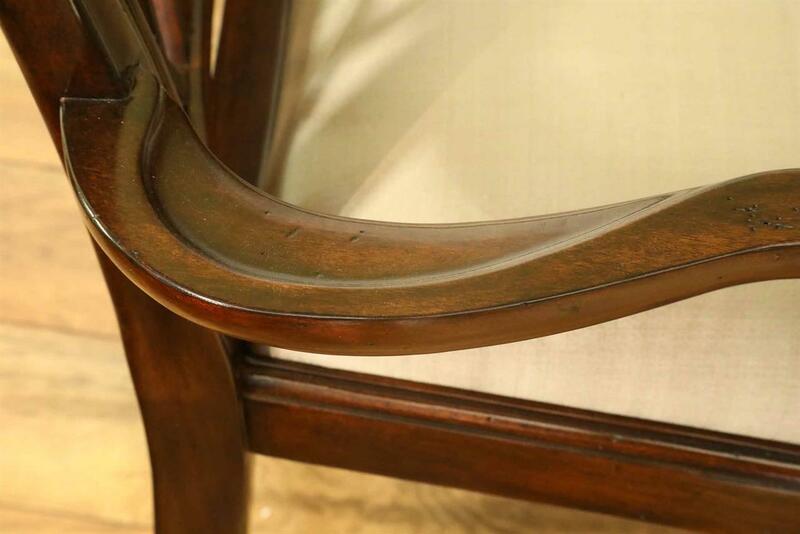 This chair is a very special chair. 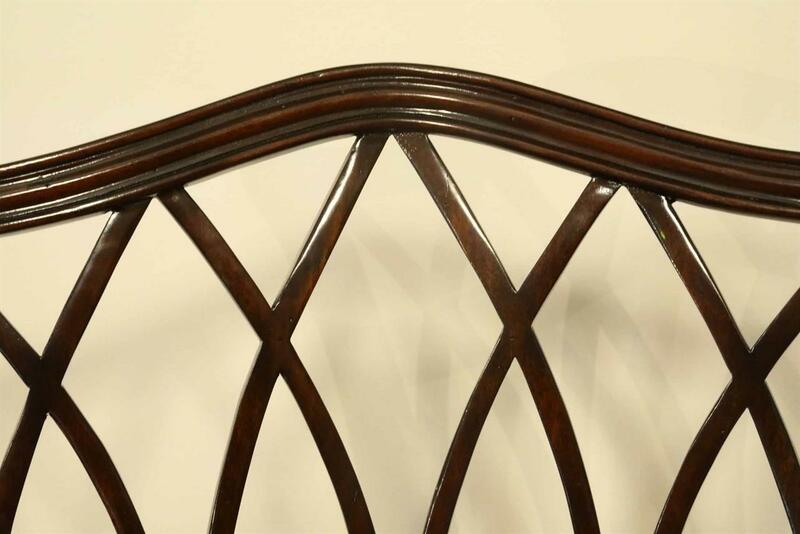 It is a fine, designer chair for a formal living space. 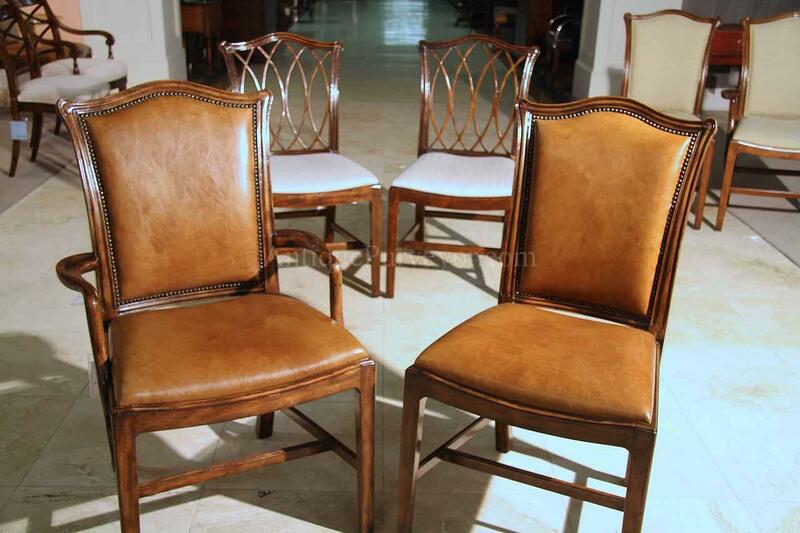 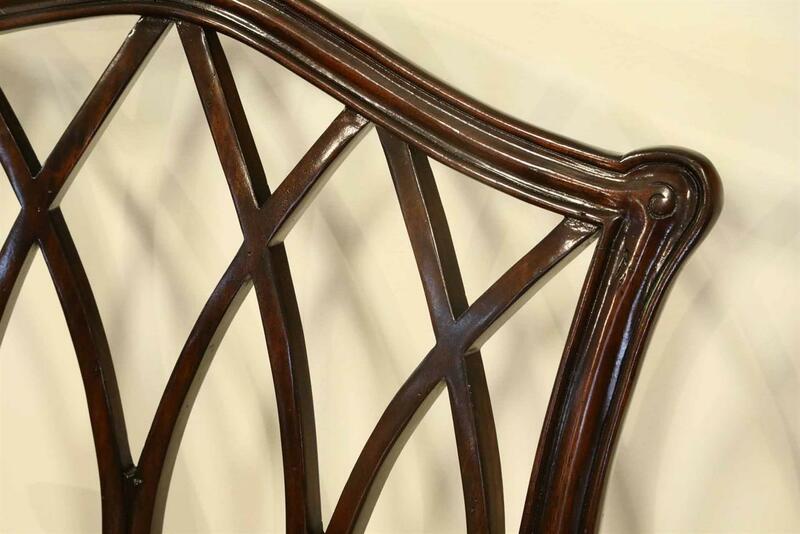 The chairs are made from dense solid mahogany material. 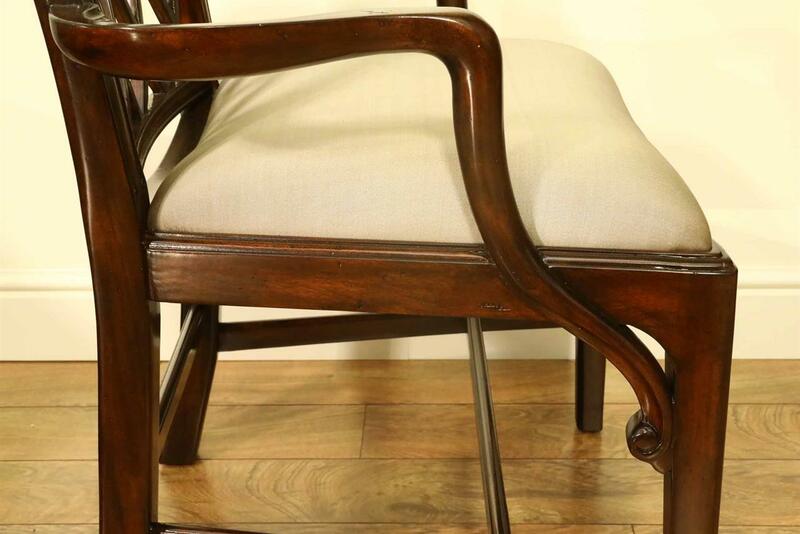 You will feel the quality of this chair as soon as you pick one up. 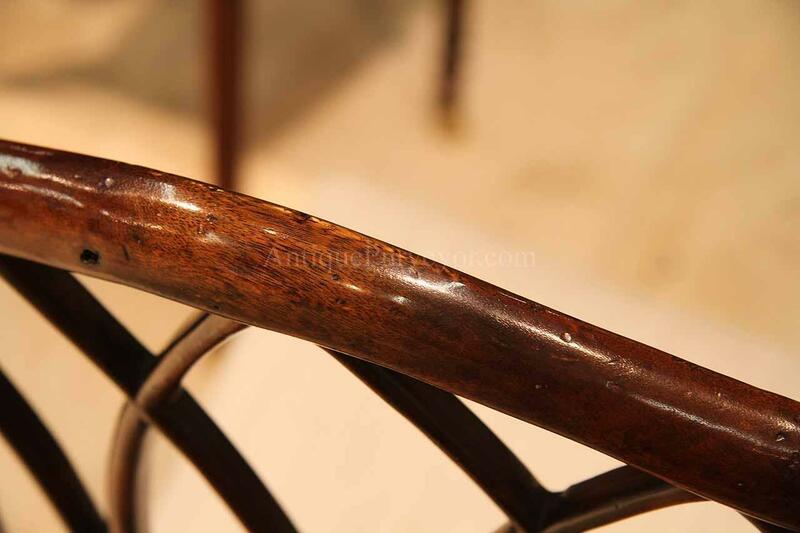 The chair is heavy, dense and made from the best materials money can buy. 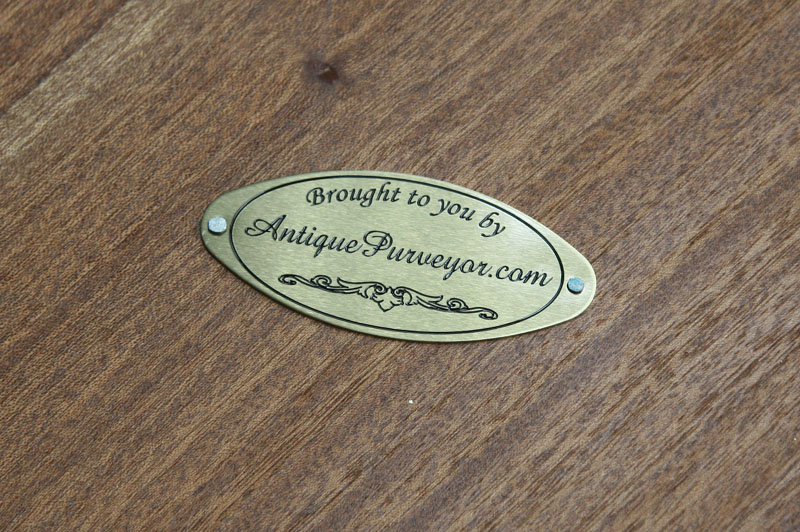 They have a mild factory distressed finish. 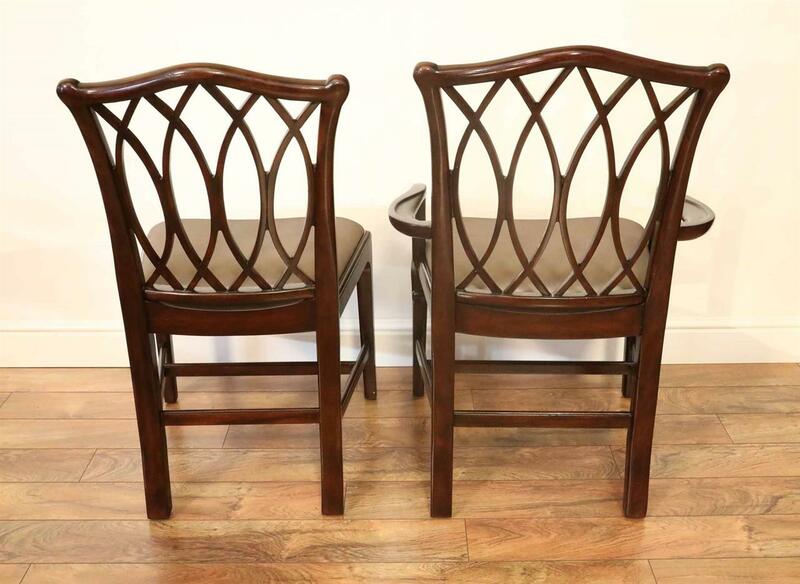 These are Heirloom quality chairs. 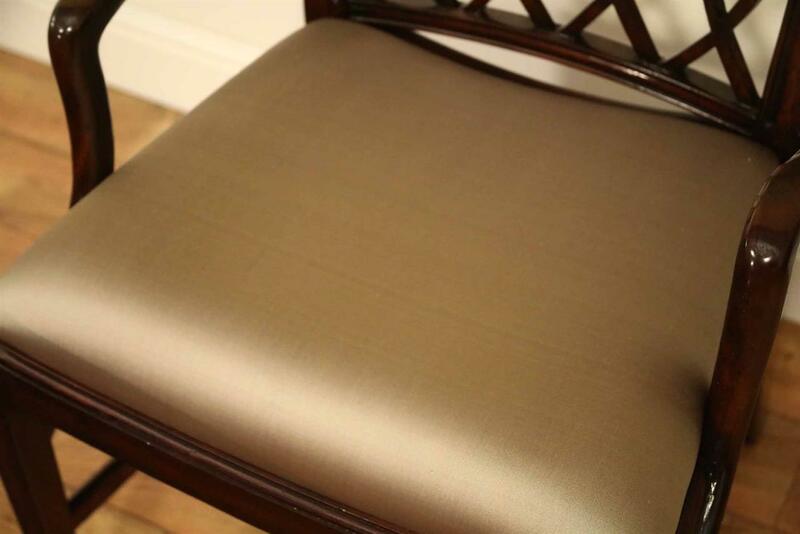 These chairs are a regular stocking item in the grey silk, which is shown in most of the pictures above.